In Italy, Japan and again last weekend, Sebastian Vettel has been involved in remarkably similar incidents while attempting to make a move on the inside of a rival in the opening laps of the race. On each occasion the move would fail and the German would spin violently on his front axle, losing valuable positions and effectively the title. Speaking ahead of the Mexico weekend, having suffered such an incident while attempting to pass Daniel Ricciardo in last week's United States Grand Prix, Vettel suggested that other that his own over enthusiasm, the spins could be the result of a form of aerodynamic 'black hole'. "Maybe I need to try the outside next time, maybe I don't spin," he told reporters. "Obviously you want to have the inside to the corner, that doesn't change... but I don't know. The closer you are to another car, you lose some downforce, and obviously the spins I had were all quite weird because there was not much I could have done differently. It's not like I had gone in too fast or I would have spun on my own at that speed, not at all. "So I guess there must be some sort of hole or something being on the inside of a car in that position," he suggested. "Obviously on all three occasions I wasn't clearly ahead, at best side-by-side, so as I said, maybe next time I try the outside." "I think he's had a few bad qualys and then he has to take bigger risks in the race to make up places," suggested countryman Nico Hulkenberg. "With bigger risks, these errors can happen much, much easier. It's just a fact of that, he's pushing hard trying to keep his title hopes alive. "I don't see it too critical or too bad," he continued. 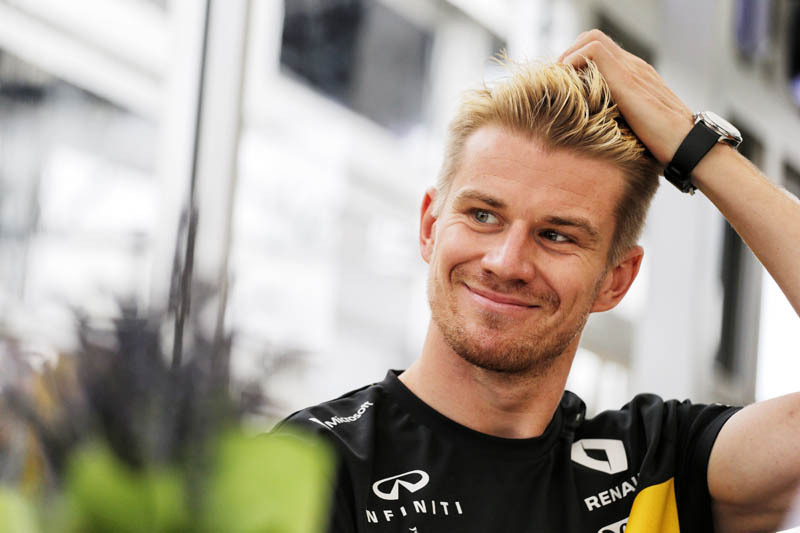 "The other thing that is hard to understand from the outside is in a fight with these cars that are so sensitive on the aero side it is so easy to lose the car and spin off like happened last week. It happens very easily, I think it's hard for outsiders to understand how easy it is to do that." In light of which, it's worth noting that twelve months ago, on the opening lap here, Lewis Hamilton lost a number of positions on the opening lap when trying to make a move on second-placed Vettel which saw the Mercedes clip the wing on the Ferrari. Though both were able to continue, the German ultimately finished fourth and the Briton ninth, enough to claim his fourth title. Check out our Sunday gallery from Mexico City, here. Brawn: Vettel a "bit out of sorts"